Horia Hulubei National Institute for Physics and Nuclear Engineering (IFIN-HH), Extreme Light Infrastructure – Nuclear-Physics (ELI-NP), Măgurele High Tech Cluster (MHTC), together with the European Cluster of Advanced Laser Light Sources (EUCALL) organize a Conference on Industry Day held on 17th of September 2018, at 09:00, at ELI-NP (Reactorului Street, 30, Măgurele Town, Ilfov County). The event’s objective is to give the business community several insights about the manner in which SMEs might do business with ELI-NP. 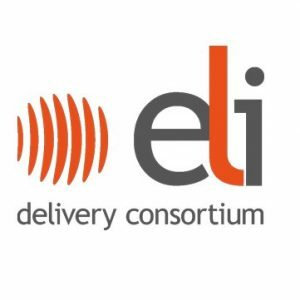 We aim to gather actors from the Romanian industry, in particular, to come along with ELI-NP and to grow alongside the family of the three ELIs, in order to increase their interest for the moment when the three ELI pillars will have the first results to offer to the industry. We have invited representatives from the Romanian High Tech Industry, UK Chamber of Commerce, German – Romanian Chamber of Commerce, The American Chamber of Commerce and Industry, Israel – Romania Chamber of Commerce, Ministry of European Funds, ELI-Beamlines, ELI-Attosecond Light Pulse Source, Japan External Trade Organization (JETRO) etc.